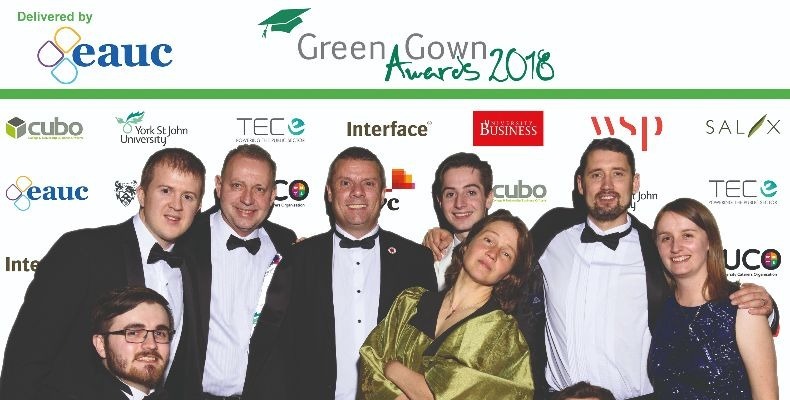 Set in the stunning National Railway Museum in York, the home of iconic locomotives and engineering brilliance, the Green Gown Awards Ceremony promised to be a memorable evening! Eighty-seven finalist institutions, spanning 12 different categories, gathered together at the 14th edition of the prestigious event, which was organised by the EAUC, in conjunction with the University of York and York St John University to recognise outstanding achievements and initiatives in sustainability. For the second year running, finalists mapped their entry against the United Nation’s 17 Sustainable Development Goals (SDGs), the most popular being ‘sustainable cities and communities’, ‘responsible consumption and production’ and ‘quality education’. Representing over one million students, 172,000 staff and a combined annual turnover of £15bn, these awards demonstrate that these institutions are proving their value to the economy and society. Co-hosted by Iain Patton, CEO of the EAUC, and Helen Browning OBE, CEO of the Soil Association, the highlight of the evening were the presentations by three finalists for the ‘Outstanding Leadership Team of the Year’ award, with live voting by the audience. Keele University stole the show, picking up not only the coveted Outstanding Leadership Team of the Year award, but Enterprise, too. Professor Mark Ormerod, Deputy Vice Chancellor, Provost, and Strategic Lead for Sustainability, comments: “I am absolutely delighted by these awards. Key to this success is a model of distributed leadership and a genuine empowering of staff and students to lead sustainability transformations in their own areas of the institution. Meanwhile, the University of the Arts, London College of Fashion also celebrated a double win, taking awards for both Benefitting Society (large institution) and Next Generation Learning and Skills.